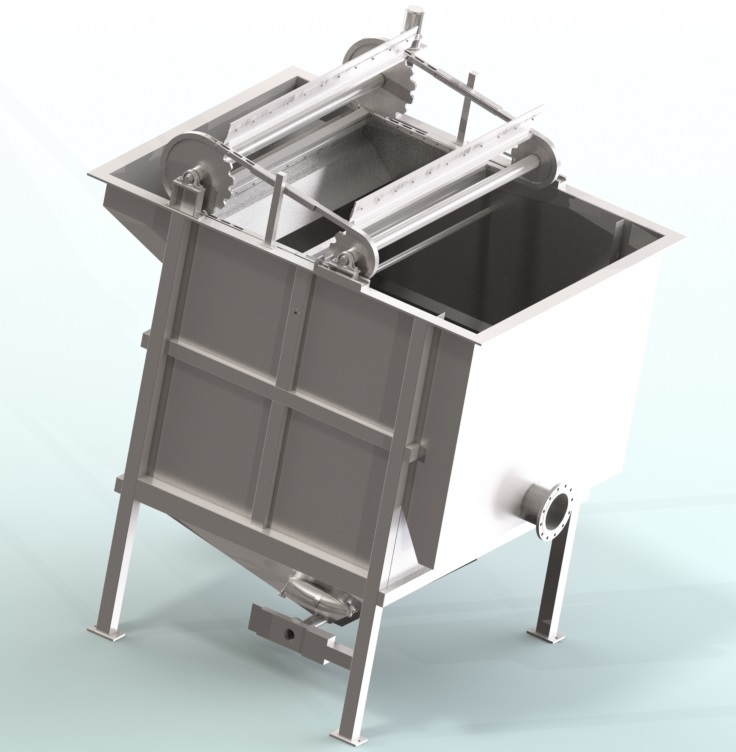 The Miniquadraflot is an equipment that, by using the dis­solved air flotation technology, is providing the solid – liq­uid separation. The floatation tank is rectangular shaped and completely realized in stainless steel. It is a very compact unit suit­able for installation in narrow and limited spaces. 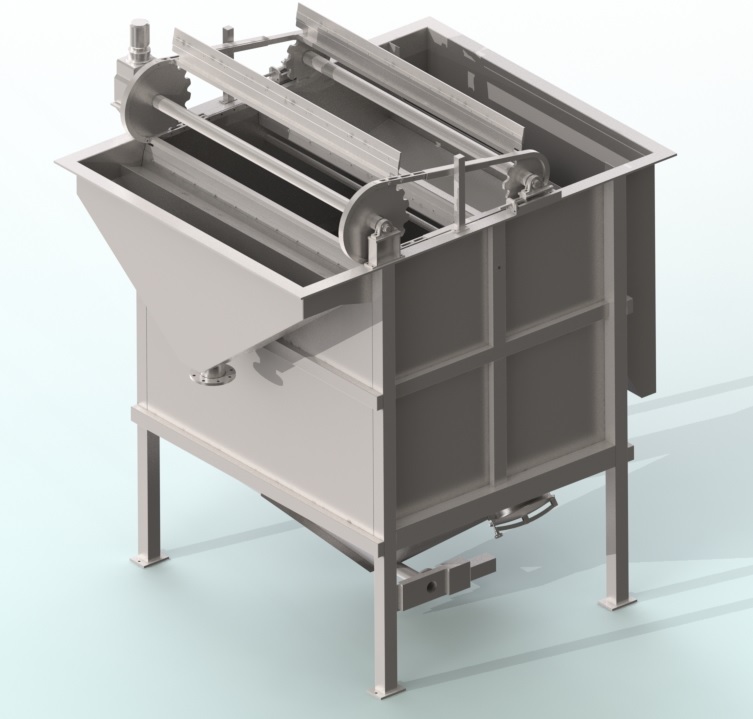 The water to be clarified, mixed with the chemicals and pressurized water, is fed from the front of the machine through a special chamber to reduce the turbulence. From here the water is flowing inside the tank where the flotation process is starting thanks to the air micro­bubbles, produced by the high efficiency pressurization system, that are floating up to the surface the suspended solids. The flotation process mode may be operational on partial or full flow of the raw water or recycling flow pressuriza­tion of the clarified water. Before entering the flotation tank, the pressurized water produced by the pressurization system is passing through a suitable valve to reduce the pressure at atmospheric value. In this phase a huge amount of microbubbles gets free from the water and once inside the tank they are lifting up the suspended solids to the surface. The floated sludge is conveyed by paddles to the end part of the machine and from here discharged out. The optimal consistency of the sludge is obtained adjust­ing the tank water level by acting on the mechanical weir. The clarified water is extracted from the bottom part of the tank and conveyed to the level control system. Possible sediments are collected in a sump in and from there discharged by an automatic valve. The Miniquadraflot is a simple and easy unit to be oper­ated, resulting in a system showing high efficiency in a limited installation area.